Standard delivery charges are from only £3.95 per order to a UK mainland address. If all your items ordered are “In Stock” and “Standard Delivery” has been chosen, you should receive them within 3 – 7 days. Some items will state that the delivery will/could take 1-2 weeks this is due to orders waiting to be restocked or delivered from our supplier. We aim to keep you updated and as soon as the order arrives this will be dispatched ASAP. Please choose ‘’Standard Delivery’’ for items that state delivery times of more than a week. 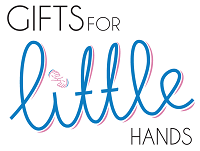 International Deliveries: If you require delivery outside the UK then please contact us via info@giftsforlittlehands.com with your order and we will look at the best delivery options for you. Join our community to ensure you are kept up to date on how to help those with little hands.